It’s a huge relief- after so many months of anxiety. Thank you for cheering me on through it all! They are getting so big! I am so happy to hear that they are doing better and better and able to spend more time with each other. I hope they come home very soon! So glad to hear they’re doing so well!! Thanks so much- after so many months of anxiety, it feels good to be able to finally breathe again. They are so sweet! I’m so happy to hear that they are doing as well as can be expected. I hope things continue to progress well and you can take them home soon. Thank you! Another day closer! Such a wonderful update! So glad the girls are doing well. I hope they are home with y’all soon! Two beautiful baby girls. So happy they’re doing well. Cant wait to see the first pic of them home! Me too! When I hold them, I tell them stories about what home will be like. 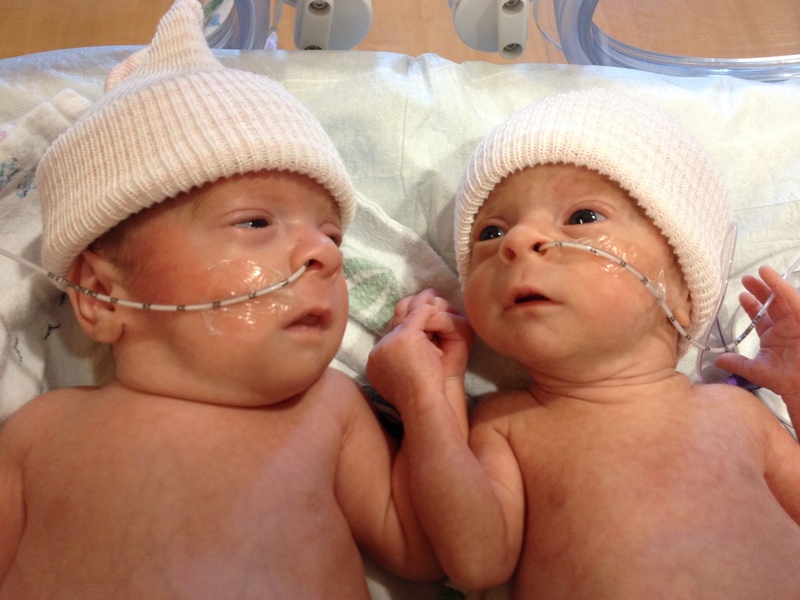 One and a half months old and they’ve never seen anything outside their hospital room. I’m just so relieved we are getting closer to getting out!